Showing 96 - 100 of 227 matching projects. 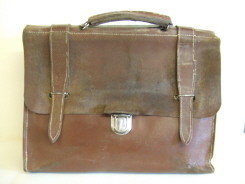 This is a 1950's Briefcase that the owner luckily found in a charity shop and sent it to me for restoration. 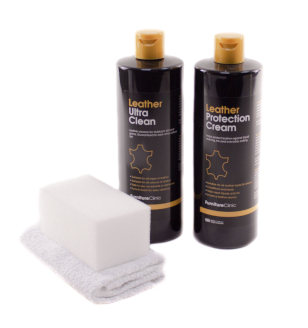 The leather was very dry in places and very dirty and stained. 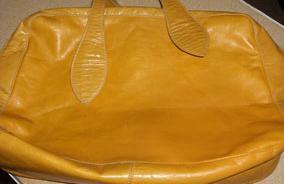 The handle had to be dismantled and rebuilt using some new leather and appro 30% of the stitching had to be replaced. This is the owners reaction (via email) after I had returned it to him fully restored. 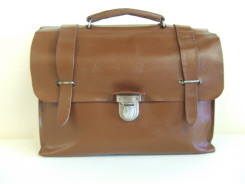 "Hello Fred, the box arrived today with my newly restored briefcase in. Fantastic job, well done." 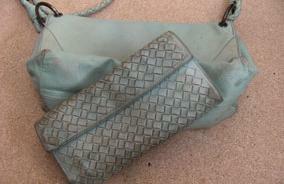 This bag and purse set pictured above has become very dirty and discoloured. 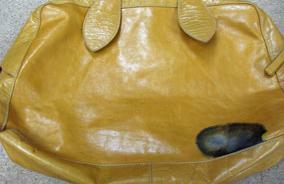 We thoroughly cleaned the bag and purse and then re-coloured the leather to look like new again. 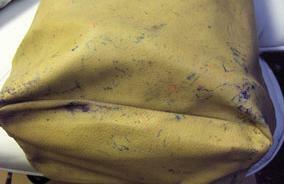 This is the inside of a Louis Vuitton handbag that has become very badly marked with ink and pen stains. 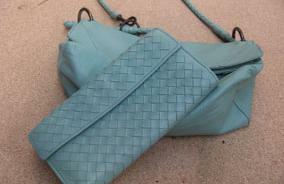 We matched the colour and restored the bag to its original colour. 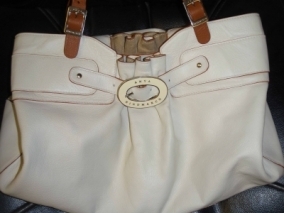 This leather handbag had a pen leak inside the bag, which then stained all the way through the leather. 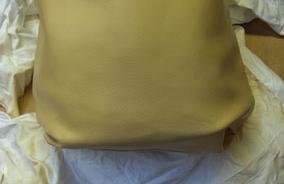 We matched the colour and re-sprayed the area to blend it back in with the bag. 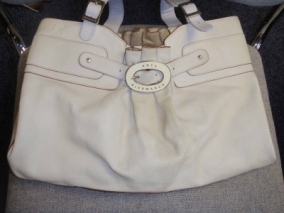 This handbag came to us with areas of colour fade and the colour flaking off on the handles. We recoloured the full bag, and changed the colour of the handles from the off white colour, to the same rich tan colour to match the edging of the bag.